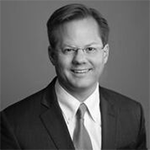 Matt Largen | Williamson, Inc.
Matt serves as President and CEO of Williamson, Inc. Previously he served as the Director of the Williamson County Office of Economic Development where he managed and directed countywide economic development strategies, including existing business, recruitment of new business, and entrepreneurship. He also previously served as the Director of Business Recruitment at the Nashville Area Chamber of Commerce. Largen has extensive experience in corporate office relocation and expansion projects, including serving as the project lead on the Tractor Supply Company headquarters/store support center, Mars PetCare corporate campus and global research center, Jackson National Life Insurance Company regional headquarters, and the Verizon Wireless state of Tennessee headquarters project. Combined, these projects accounted for over 3,000 new jobs in Williamson County and over $200 million in new capital investment. Largen moved to Nashville from Little Rock where he served as the business development coordinator at the Little Rock Regional Chamber of Commerce. He first began work in economic development through the office of U.S. Senator Blanche Lincoln. He was named to the Nashville Business Journal’s 40 Under 40 list in 2011, the Nashville Post’s 2012 In Charge list, was the top vote getter for the 2013 Nashville Business Journal’s Williamson County Impact Awards, and is an alumni of Leadership Franklin. Largen earned a bachelor’s degree at Henderson State University, a master’s degree at the University of New Hampshire, and is a graduate of the Economic Development Institute at the University of Oklahoma.